On September 8, communities in Canada rose as part of 900+ actions all around the globe to demand a fossil free world that puts people and justice before profits. From Vancouver to Winnipeg, Waterloo to Montreal, people across Canada took action to show our government that climate leadership means keeping fossil fuels in the ground and respecting Indigenous rights. 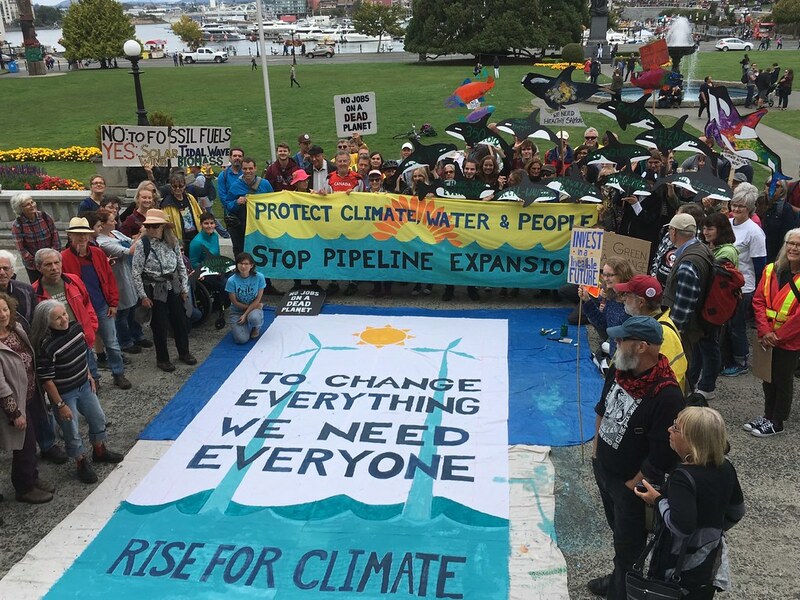 Real climate action rises from the people, we can see it in community and Indigenous owned renewable energy projects across the country, in the cities, towns and entire provinces standing up to massive fossil fuel projects, and in the frontline opposition to dangerous pipelines like TransMountain and Line 3. Unfortunately, by approving the Line 3 pipeline and buying Kinder Morgan’s TransMountain project, our federal government is ignoring that leadership, putting the interests of big oil and billionaire CEOs ahead of the needs of people and the planet. Would your organisation like to join Rise For Climate Action?